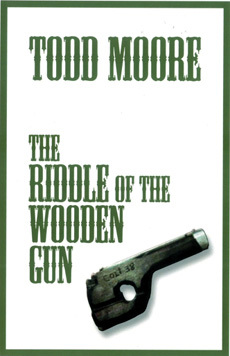 Lummox Press announces the publication of The Riddle of the Wooden Gun by Todd Moore. 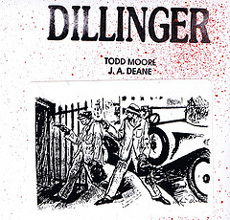 This 144 page chapter from his epic poem, Dillinger, explores the escape from Crown Point jail. The wooden gun used by Dillinger to gain his freedom… some say it was an inside job. 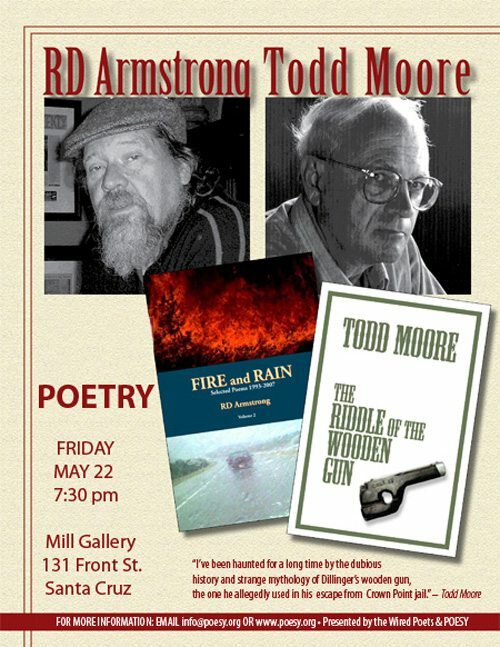 Todd Moore’s poetry has appeared in more than a thousand literary journals in the last forty years. He has had more than a hundred books and chapbooks published since 1976. His work has been anthologized in THE OUTLAW BIBLE OF AMERICAN POETRY, DRINKING WITH BUKOWSKI, and LAST CALL. In 2004 Moore along with Tony Moffeit founded the Outlaw Poetry Movement. Presently, Moore co edits, along with his son Theron, ST. VITUS POETRY PRESS. A retired teacher, he lives in New Mexico with his wife and dog. His outlaw days are not yet behind him.